Quick Overview AIR DADDY air pump adapter lets you get to the fun times more quickly! It allows you to inflate towables, swim toys, beach toys, inflatable boats, rafts, air beds and sport balls with an air compressor at home or at a gas station. AIR DADDY is a universal adapter tapered to fit all valves found on inflatables, including all sizes of stem valves and Boston valves, Halkey-Roberts and Leafield valves. 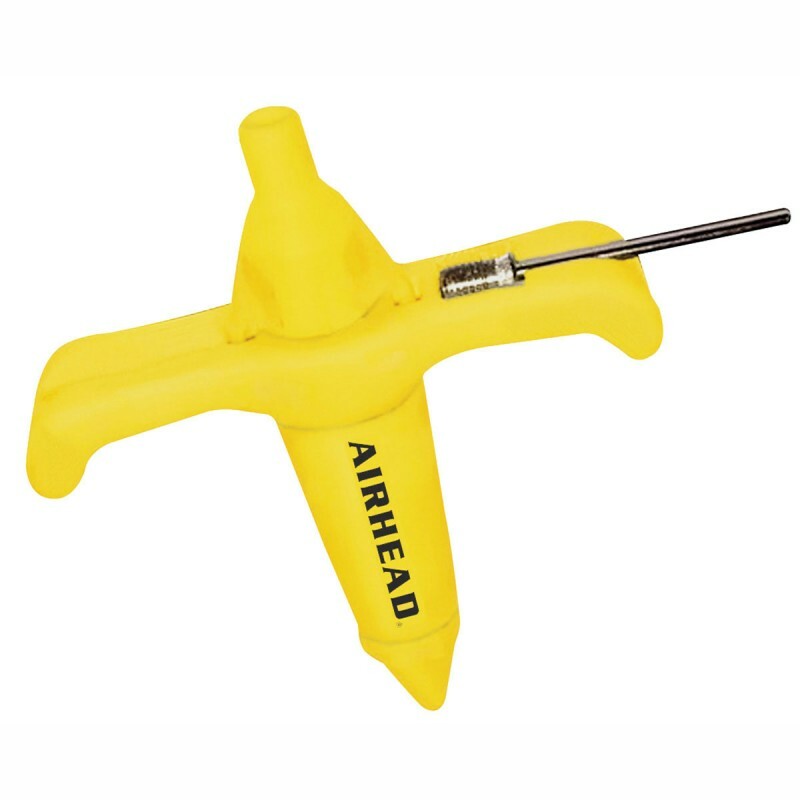 The screw-on tip creates a high pressure stream of air, perfect for workshops and garages. Soccer ball or football low on air? Stop by a gas station and use AIR DADDY's needle valve! Both the needle valve and high pressure tip stow securely in the handle.